Follow us on Facebook for special promotions and other news! * Please note that GreenWiseFlooring.com is NOT affiliated with any other contractors. 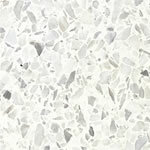 Detailed List of Services: terrazzo cleaning, terrazzo restoration, terrazzo polishing, terrazzo refinishing, terrazzo repair, terrazzo patch, terrazzo installation, concrete polishing, concrete grinding, surface preparation, acid stained concrete, diamond grinding, diamond polishing, marble cleaning, marble polishing, vanity top restoration, dustless diamond grinding. Detail List of Areas Served: florida; orange county; orlando metroplex, winter park, maitland. seminole county; altamonte springs, longwood, sanford, oviedo. osceola county; kissimmee, st. cloud. lake county; eustis, leesburg, tavares, clermont. space coast; titusville, cocoa beach, melbourne. other areas along I-4 corridor; daytona beach, lakeland, polk county, tampa bay. Not affiliated with Frank Flooring or any other contractor service provider. Low price guarantee with price matching.